IDS has been serving the world of Air Traffic Management (ATM) and airports since 1992 with COTS (Commercial Off-The-Shelf) solutions and highly customizable commercial software products aimed at supporting the transition from Aeronautical Information Services (AIS) to Aeronautical Information Management (AIM) in full compliancy with the ICAO and EUROCONTROL mandates for Aeronautical Data Quality (ADQ). Developed in close partnership with customers themselves, and continually supported and updated to answer changing and more stringent requirements, our solutions now comprise a comprehensive, ADQ compliant solution for Aeronautical Information Management (AIM), which can cover the whole process from data collection to publication as well as a system for Air Traffic Flow Management (ATFM) and collaborative decision making (CDM). In addition, IDS is at the forefront of the nascent discipline of Unmanned Traffic Management (UTM), where we are uniquely able to merge our extensive knowledge of AIM solutions with our experience of manufacturing Unmanned Aircraft Systems (UAS), including ground control systems and data links. Our international network of services and support teams provide local assistance for our solutions, consultancy and a range of professional services. 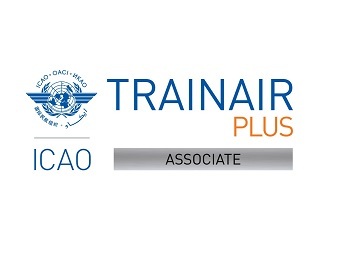 These include ICAO recognized flight procedure design services along with ground-based validation, flyability evaluations, risk assessments and mitigation recommendations. Amongst other tailored services we can also provide communication, navigation and surveillance (CNS) performance evaluation, navaid siting analysis and electromagnetic interference evaluation, as well as terrain and obstacle acquisition and chart design. IDS capabilities also extend to Airport and Heliport environments themselves, with a range of advanced integrated solutions for airport and heliport planning, operations and management. These include a suite of systems and services for airport and heliport certification, master planning, maintenance, safety management and security applications.